Please select options for 2010 GT500 Style Black Wheel & Pirelli Tire Kit - 19x8.5 (05-14 All) at the top of this page. Hey everyone, I’m Justin with AmericanMuscle.com, and I’m taking a look at our AmericanMuscle GT500 Style Wheels for your 2005 and up Mustang. 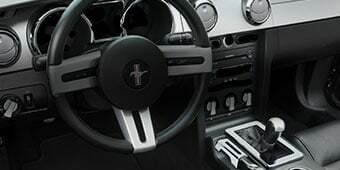 GT500’s have always been one of the baddest Mustangs on the block and now your ride can enjoy the stylings of the 2010 GT500, thanks to these split 5-spoke wheels. The wheels are available with 3 different finishes, including a black painted finish, a triple dipped chrome finish, or a black machined finish. 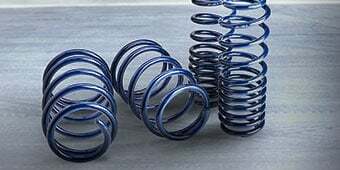 As for the sizes, the wheels are available in either an 18” diameter with an 8 inch front and 9 inch rear, or a 19” diameter with an 8.5 inch front and a 10 inch rear. Staggered fitment is cool for a couple of different reasons. First off, it looks awesome. A wider rear wheel not only improves your stance, but also helps get that power down to the ground thanks to the wider rear tire and contact patch. Not only that, it also makes for more responsive handling as well, thanks to the narrow front tire. It’s a win-win. Now, you can purchase these wheels without tires if you want; however, the smart move would be to take advantage of one of our wheel and tire combos that pair your new GT500 style wheels up with some of the better performing tires on the market today in sizes that are guaranteed to fit without rubbing, even if you’re lowered an inch or two. Not only that, you also get to take advantage of our free shipping and handling, free mounting and balancing, and optional nitrogen fill. Remember, you 2007 and up folks have to keep in mind your vehicles are equipped with a TPMS sensor. This means a tire pressure monitoring system that needs to be addressed when ordering new wheels. These aluminum AM wheels are extremely durable, but if you ever encounter any problems, every rim features a lifetime structural warranty, as well as a one year warranty on finish, you can’t beat that. There are very few mods on the market today that can change the attitude of any ride like a new set of shoes. These AmericanMuscle wheels are sure to offer the modern aggressive stylings that look great on any Mustang. Black 2010 Style GT500 Wheel. 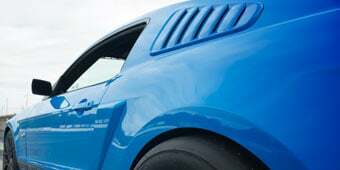 Now you can have the modern split spoke styling of the 2010 Shelby GT500 Cobra for your very own Pony. These 19x8.5 GT500 rims feature a split 5 spoke design and a European style flange-less lip for awesome sleek styling. They are completed in a black clearcoated finish to protect against the hazards of road chips and pitting, you also get the added benefit of never noticing brake dust. 245/45-19 Pirelli P Zero Nero. Pirelli's P Zero Nero is a ultra high performance "H" rated all season tire that is perfect for the harsh weather conditions North American has to throw at it. The All Season P Zero Nero provides a winning combination of quiet ride, precise cornering and superior grip in wet and dry driving conditions. Application. This 19x8.5 Black GT500 Wheel and Pirelli Tire Kit fits all 2005 to 2014 Mustangs, including the V6, GT, Bullitt, and Shelby GT500 models. 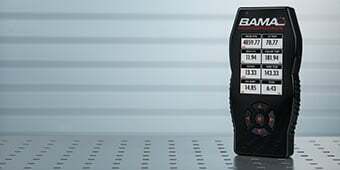 If i bought these with the tpms sensors, will they come installed already?? Yes! If you decide to purchase this Staggered 2010 GT500 Style Black Wheel & Mickey Thompson Tire Kit with TPMS sensors, we will install them along with the free mounting and balancing. Will these wheels fit my stock 2014 v6 tires?? Will these wheels clear the factory Brembo brakes on a 2011 GT? This wheel and tire kit will clear the factory Brembo brakes on the 2011 GT without any issues. I have the larger Brembo package on my 2013 GT, will there be any issue with fitment of these rims with the upgraded Brembo's? Since these have clearance with the GT500 wheels that come equipped with Brembo's these will work with the upgraded big brake kit. Hello will these wheels clear the Wilwood Superlite Front Brake Kit AM item #48300 and the Wilwood Superlite Rear Brake Kit AM item#48301. Thank you! Hello! The Staggered 2010 GT500 Style Black Wheel & Sumitomo Tire Kit will clear both the front and rear Wilwood kits. Hello! The Ford Performance SVT Front Brake Upgrade Kit requires the use of Ford Racing wheels M-1007-DC199LGB, M-1007-S1895, M-1007-S1895B1, M-1007-DC199B, M-1007-SA199, M-1007-DC199LGB or equivalent for correct caliper clearance. All other styles should be test fit to ensure proper fitment. Any non-corrosive wheel cleaner would be recommended to keep the wheels clean without damaging the finish of the paint. There are brands out there such as Chemical Guys that produce non-corrosive cleaner. Unfortunately, the factory lug nuts have a size of 13/16" which is to large for these wheels. You will need lug nuts that are a 1/2". If you scroll up the page to "Buy Together", you will find a selection of lug nuts that will work with these wheels. Hi, This 2010 GT500 Style Black Wheel & Sumitomo Tire Kit will ship mounted and balanced. 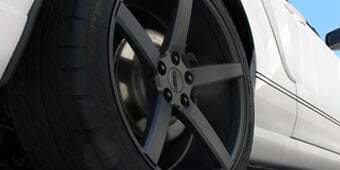 The 2010 GT500 Style Black Wheel is designed to work with the 2005 to 2014 Mustangs. The bolt pattern will be the same as the 2015 and newer, but the offset and backspacing will be slightly different which could cause the wheel to sit further in than it did on your previous Mustang. The 2010 GT500 Style Black Wheel - 19x8.5 will fit a 255/40R19 tire just fine! You should have the TPMS installed with new wheels for both safety reasons and to keep your check engine light off. Without installing the sensors, the CEL will remain illuminated and a tuner doesn't have the capability to disable the light on your dash. Hope this helps. Hello, I can only speak about my wheel/Tire, but since we're really just talking about the center cap, I'll add my .02 worth. Some people told me my stock SVT cap wouldn't work without a bit of modification. However my Stock/OEM SVT cap snapped right in. It did not fit flush but it isn't enough to even notice until you go to do regular tire inflation maint. I would say possibly 1/16 of an inch. I bought the stock SVT Chrome Cobra 17x9". I bought the Wheel Brand that they sell here on American Muscle.com You can see them on AM's Facebook page under my Facebook username SVTStangCobra ?, I believe it is.SVTStangCobra on my Laser Red Metallic SVT Mustang Cobra convertible w/black top I posted under or you can go to my Mustang Website >http://www.flickr.com/groups/mustangs65topresent/. Feel welcome to join my Group if you like. It only takes a couple minutes to do the initial sign up. Have fun, I love those wheels ! In short this rim and tire combo is the best deal for the performance I have seen anywhere. I have a 2014 mustang GT performance package (pp). The difficult part about the (PP) is that the brembo breaks on the front are so large, many aftermarket rims won't fit on the front. The second tricky part is, even with the stock 255 tires, with the 373 gears I have spun in 1st, 2nd, 3rd, and cherped the tires in 4th on the drag strip. These rims and tires bolt right on the car with no issues. The 275s on the back are the perfect size for all 2014 (pp) Mustangs. After I installed theses. I can floor my car in 2nd on the street, and have almost no slip. I can take corners much harder without fear of spinning out. Many times people have asked how much I paid for my rims and tires and have been shocked I picked them up delivered to my door ready to be installed for around 1,300$ In my opinion, this is one of the best values, and most needed upgrades for the 14 gt (pp) mustangs. I went with the 19" Sumitomo staggered set up and could not be happier. The thumbs up and neck turns I get are a bonus too. I am lowered 1.5" and the 19" fills the gap just right. The wheels even though they look great in the Pics look even better in person. The staggered stance is flat out MEAN and handles like a cat stuck to a rug. Killer set up. Thanks AM for the great price and free shipping! You guys Rock! 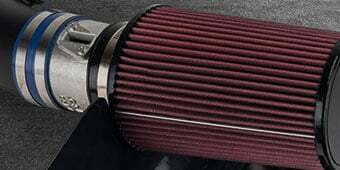 These were a perfect addition to an older model stang. Staggered fit for natural performance. Gloss black for shine. 19 in for compliments. Highly recommend. Im really happy with my rims and tires. They give the car a whole new look. They fit perfectly even though my car had a 1.5" drop. The sync was easy and the install was flawless. The only problem was one of the lug nuts that I ordered would not go on . I called AM and they sent out a whole new set. Im glad I didnt go with the matte finish because the gloss looks great !! Staggard wheels and tires give the car a great look. 10 inch wide tires provides great traction and performance. Couldn't be happier! I had different Wheels (20") that I put on my GT and they rode rougher than my stock 19" wheels. Plus they got curb rash too easily with such a low profile Tire. Decided to go back to 19" so I bought these with Mickey Thompson Tires. Definitely a smoother Ride than 20's. They look better in person than on AM. I love the Gloss Black Finish. There are some bumpy areas under the Finish under the paint. But I can live with it. Very affordable. Pictures on the AM site do not fully represent how great these wheels look on the car. The Mickey Thompson tires are great so far. Sticky, quiet and look great. Had 20" wheels and went back to the stock 19"maize hoping to get a little better ride since I lowered it a month ago. Definitely a better ride quality. 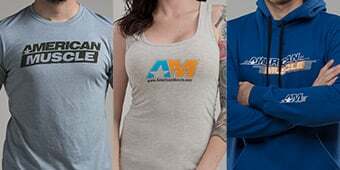 American muscle knows what they are doing!!! Buying from them takes away the worry of figment issues it is a no brainer! Very satisfied with my purchase. This is my first purchase from American Muscle. I work an odd schedule in EMS, often 24 hour shifts, which means in the rare occasions I'm actually home, odds are I'm sleeping. ANYHOW, I have lurked this site since I bought my first Mustang, a 2012 V6, and often daydream and window shop, and since it came time for new tires, I figured I'd go ahead an take the plunge spending the money for this set of rims and tires. I timed it right, and was actually home when UPS showed up. 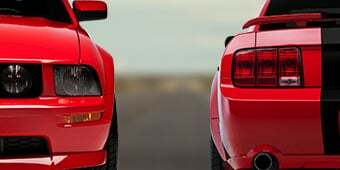 I placed the order on a Thursday night, called American Muscle Friday morning to make an adjustment with my order which they did with minimal hassle. The staff was courteous, pleasant, and genuine in wanting to help me with my order. The order shipped that evening, and 5 business days later (I'm in California), UPS was on my doorstep with 4 new rims, tires, and my additional accessories (Lugs, wrench and tpms tool). Everything was immaculate. Within 90 minutes of delivery, everything was on the car. These rims are simple in design, the gloss pops at you, and in my opinion, they look better in person than on the stock photos. I was a little bit worried how they'd look, since I've always had chrome, or machined finishes. These are by far the best looking set of rims I've owned on any vehicle I've ever owned. I'm not huge on 'flash', and these fit the bill for me. I went with the standard fitment, and they really do change the attitude of the car. She turned heads before, but now she's snapping necks. Received the wheels and had a small scratch 1 inch long on one of them. The paint on a couple of wheels was below average. It looked like they painted them with a can of krylon outside in a sandstorm. Its rough feeling around the spokes and there are some spots throughout the paint with sand particles under the paint. They were also delivered with a rediculous amount of mounting wax on them which made them look cheap upon delivery. It is also a huge amount of time to clean off. Overall the quality is ok just think that for 1600 bucks I should be getting better quality. Please check out my review I will post about the lug nuts as you may want to read about those as well. Thanks. This package is awesome! They totally changed the look of my 2012 V6. My only complaint is the fact they chose to install bright aluminum valve stems on the wheels, which look kind of silly when it's pretty obvious the buyer is going for the black color wheel. I'd say overall, it's still an amazing package. Awsome wheels. Had some bad luck but AM made it right. I love the wheels, they look great and I get compliments all the time. They will totally change the attitude of your Pony. Had a few quality control issues with them once I got them but AM made it right. 100% satisfied at this point. Before I got these wheels, I had 17" Bullitt wheels, I didn't really like the way my Mustang looked. But! After I installed these wheels, oohhhh maaan!! I'm in love with my Mustang all over again! You gotta have them! 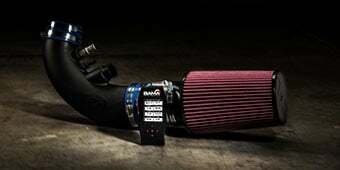 Beast look to your stang! It took me roughly an hour to install.. i love them! I get compliments all the time & the glossy black finish is immaculate! I don't usually write reviews but I was extremely pleased with the product and felt I had to. Bought the car brand new and had planned to switch them out at the dealership itself. Unfortunately I picked up the wheels a bit late from the shipping office (missed all the attempts) and had to put them on myself. I was lazy and NTB said they would charge $30 so I went ahead with that. The 3 days I drove the Stang with the stock rims were nothing great and the car itself looked pretty regular. The moment I swapped out the rims for this set though the change was amazing. It actually looks like a sports car now. Been getting a huge number of compliments on them (random strangers to friends). You will be hard pressed to find such high quality rims for just a great price. Cannot comment on the shipping as the product was out of stock when I ordered it and it took like 3 weeks to get to me but I had expected that when I placed the order. American Muscle did make a mistake on my order though and when I called they were more than happy to rectify it. I have a black Mustang and wanted to put red mirror covers to give a nice contrast with the red brake calipers but they sent black ones instead. Took it as a sign (too lazy to go all the way to the shipping office) and just put them on. These rims will look great on any body color (especially white). It was between these and the black AMR wheels and I can honestly say I'm glad I chose these as they give the car a much more aggressive look. I was planning on lowering it for aesthetic purposes but that won't be needed as these fit pretty good (still a 1.5" gap between the arches and the tires). Ride quality has decreased which was to be expected but handling has improved. Feels safer cornering and offers a lot more grip. Definitely a must buy if you want your car to stand out. Recommend buying black lug nuts with it also. Looks great on a black mustang. I bought these, as I love the look, and wanted glossy back. These where everything I ever wanted and love them so much. These are worth every penny and look amazing. Only negative thing about them is the paint. I have had these on for 4 months now, with over 3000 miles on them. I haven't had any problems with the paint since the day I had them installed. The problem is, that the paint around the lug nut holes is very light. So when tightening the nuts the paint does come off. But it is not noticeable at all. I only notice it when I get down to clean the lug nut holes. great quality, great looks, great price! great product, shipped and received within the same week. Thanks AM!! 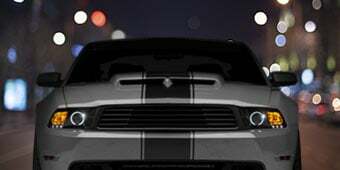 American muscle is the only place where I will order anything for my mustang, I highly recommend them to anyone looking for the best price in improving their mustang. This is the one place where anyone can choose from a wide variety of parts to improve their mustang in any way that they choose. Everything that I have ever ordered has been delivered on time and the fact that the price u see on their website is the actual price that u pay is awesome.